It is fitting in a year in which Silver Lake College celebrates its educational legacy of 75 years that we have the opportunity to recognize an individual who has been instrumental in the life of the college for almost 25 years. Robert Endries, and his wife Pat, began a business in the basement of their home in Brillion, Wisconsin in 1970 with little more than $5,000 in capital, a hope and a prayer. From there, thanks to hard work and perseverance, they created an international corporation that today operates in over 70 locations throughout North America, Asia and Europe. Throughout his distinguished career, Bob has received multiple awards and recognitions. In 1986, he was recognized as the Wisconsin Small Business person of the Year, which ultimately led to being ranked 4th in the nation among small business owners, in 2000 he was a Finalist for the State Division of the Ernst & Young Entrepreneur of the Year award, and in 2007 he was inducted into the Wisconsin Business Hall of Fame. Throughout his 25 years with Silver Lake College he has served as the Chair of Board of Trustees and is currently the Honorary Chair of the imagine.build.connect Capital Campaign. He has provided valuable insight and wisdom to the past 4 presidents, he has helped to reach out to other businesses in the area and share the story of Silver Lake, and he has offered countless hours of time and resources in order to further the opportunities for the students of Silver Lake College. 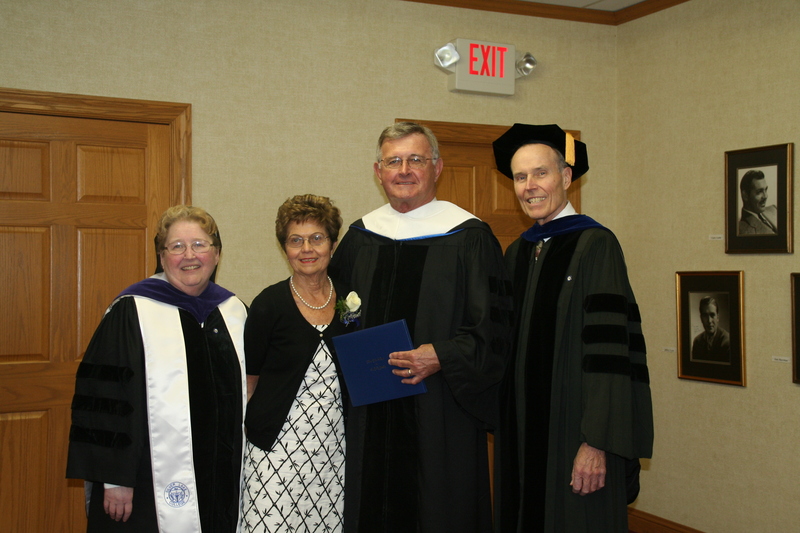 Therefore, for his leadership, his example, his enduring commitment, and his invaluable contributions both to Silver Lake College and the community in which we live, Dr. Arnold, it is my pleasure to present to you Mr. Robert E. Endries for the degree Doctor of Humane Letters.